The Central Bank of Egypt (CBE) will start producing some categories of the Egyptian currency in the form of plastic form by 2020 from its press at the New Administrative Capital, the CBE announced days after Bank of England revealed issuing its new plastic £50 note. Britain, which is currently issuing plastic £5 and £10 notes with plans to print plastic £20 notes in 2020 and £50 notes by the summer of 2019, is not the only country to use plastic in the production of its currency. More than 30 countries are now using plastic currencies, including Canada, Fiji, Vietnam, Mauritius, New Guinea, New Zealand, Australia, Romania, Brunei, Nigeria, United Kingdom, Cape Verde, Chile, Gambia, Nicaragua, Trinidad and Tobago. Plastic currencies are produced from polymer, and was first used as currency-making material in Australia in 1988. In 1968, Australia began researching for a scientific solution to combat forgeries of the new decimal currency after it issued its $10 notes in 1966. The state spent 10 years in trials to overcome technical problems. In 1996, Securency International was formed as a joint venture between the Reserve Bank of Australia (RBA) and Innovia Films to market the technology. “By 1998, all Australian banknotes were is- sued in plastic and by 2009 Securency was exporting to 25 countries, with more than 3 billion polymer notes in circulation,” notes CSIROpedia. The environmental impact of the lifecycle of banknotes worth €3 billion produced in 2003 is equivalent to the environmental impact of driving a car around the world in 9,235 times, according to a study conducted by the Bank of Canada in 2016. After countries signed the Paris Agreement on climate change, Ping Wang, the Communications Officer at the IMF’s Communications Department, said in the organization’s Finance and Development Journal that many countries are considering the environmental impact of their currencies, as well as the durability and security factors. The United Nations Climate Change agenda announced that the main aim of The Paris Agreement is to strengthen the global response to climate change by keeping the global temperature increases this century well below 2 degrees Celsius above pre-industrial levels. The aim is also to pursue efforts limiting the temperature increase even further to 1.5 degrees Celsius, and increasing countries’ abilities to deal with the impacts of climate change, making finance flows consistent with a low GHG emissions and climate-resilient pathway. To reach these ambitious goals, appropriate mobilization and financial resources, a new technology framework and enhanced capacity building is to be implemented, thus supporting action by developing countries and vulnerable countries, in line with their own national objectives. It also provides an enhanced transparency framework for action and support. “In all categories and phases, polymer outperforms paper. For example, the study found, a polymer bill promises a 32 percent reduction in global warming potential and a 30 percent reduction in primary energy demand compared with paper. Most important, polymer notes last more than twice as long as paper notes—and higher denominations, which are handled less frequently, last even longer,” Wang added in his article entitled The Future of Plastic. Wang clarified that fewer polymer notes have to be manufactured and distributed over the life of a series. “And polymer notes weigh less than paper ones, so even their transportation and distribution are easier on the environment.” He added that plastic film notes offer additional security features, along with longevity and energy efficiency. As per the Egyptian Currency, the CBE will begin printing categories of plastic money, gradually, starting with the LE 10 category to test market acceptance on the long term. Experts expect that a transition to plastic currency will reflect a new economic image for Egypt, and tell Egypt Today that it will positively reflect on the Egyptian economy. Emara notes that many countries have been using plastic currency for decades, like Spain, France and the UK. 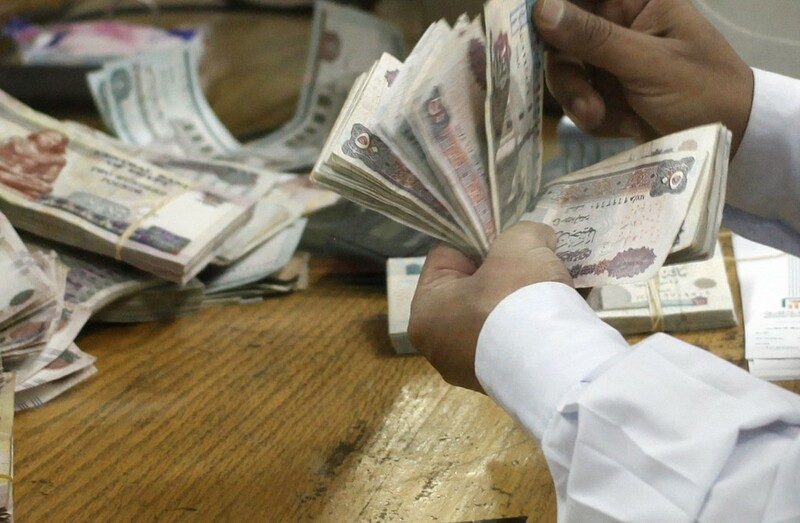 Senior economist at League of Arab States Mahmoud Fath-Allah agrees with Emara, saying that the decision of issuing plastic banknotes in Egypt is a very good choice economically. On the other hand, Senior Economist at SHUAA Capital Esraa Ahmed believes that manufacturing plastic currency is a good move to- wards more efficient money issuance system, but no major economic impact will take place. “Switching from manufacturing the Egyptian pound using copper, steel and other materials to using polymer banknotes is a matter of efficiency rather than an ‘economic’ move, and they are widely used worldwide [Canada, Vietnam, New Zealand and others use Polymer banknotes, and other countries will join them soon.] It is all about more efficient coins, as they are more durable and less costly when it comes to issuance feasibility and the material used. Using conventional copper and other relatively expensive materials proved inefficient, especially after the high level of cumulative inflation that caused the value of the coin material to exceed the value of its denomination,” Ahmed says. Egypt used gold and silver coins until 1834, when the Egyptian pound appeared. Before 1834, there was no specific monetary unit that represented the basis of the monetary system, and only a small number of currencies were seized. The Egyptian pound was established as a currency to be dealt with in paper form for the first time after its formation and circulation in 1834. On April 3, 1899, the National Bank of Egypt issued banknotes for the first time in Egypt, with a design of a Camel and the name of NBE on its back. Since the issuance of the Egyptian pound, its design had been changed several times, as in 1930 when it changed from its previous orange color to blue and brown with a picture of the Sphinx on its front and a mosque on its back. In 1950, the pound was redesigned to have an image of King Farouk l in the front and with a picture of the Isis temple in Aswan on the back, but it did not last long until a new version appeared in May 1952, returning to the old face under King Fouad while retaining Isis Temple on the other side. The shape of the pound was developed in 1968 to carry an image of the Sultan Qaytbay Mosque on one side and the Temple of Abu Simbel on the other side. Eleven years later, in 1979, it became the currently known paper but with changes in color and decorations of Qaytbay Mosque on the front while the other side carries a different image from the Temple of Abu Simbel. In a new transformation of the pound, the Egyptian government converted the paper pound to a metal pound in 2006.